I am Chihiro, apathetic and afraid. I am Kiki, a hazy heart upon a crashing broom. I am Nausicaä, seeking and small and desperate to love. I am San, wiping blood off my mouth with the back of my hand. Memory is a deceptive, nostalgia-suffused thing. Context turns milky-soft. Perception slips from our grasp into that same shrouded, misty portion of the brain where half-forgotten dreams retreat. 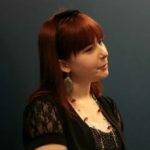 Defining incidents are assigned more or less power, depending on the age at which we become reflective. Self-conception develops in breakneck leaps or agonizing crawls. Like most avowed pop-culture devotees, I trace my lifeline along the frame rate of movies—courtesy of a father, mother, and brother who steeped my formative years in a plethora of indelible cinematic wisdoms. For all of the mind’s wiry elasticity, select images remain branded on the back of my eyelids; knowing no “before,” only after, always present. The twin suns of Tatooine. The sickly, all-consuming emerald of Maleficent’s fire. A girl in incandescent wolf’s fur. It’s 1999. I’m a helplessly impressionable 10-year-old when I first encounter Hayao Miyazaki’s Princess Mononoke, snatched off the plucked-over New Releases shelf at the homey mom-and-pop rental store down the street. This is my first experience with Studio Ghibli, actuated by a building (now derelict and superfluous) that half-raised me: Titles conscripted on a whim, bound to a harrowing restriction of three clamshell-packaged choices; surrounded by life-sized cutouts of Cary Grant and Freddy Krueger, the personifications of charm and terror distilled into flimsy cardboard. More images, peppered here and there in a filmstrip skipping frames: My grandparents’ basement, yellow-tinted by a weathered antique desk lamp; the sleeper sofa I routinely claim over the salmon-colored corduroy rocking chair. This is my refuge when people and words and sounds overcome me to the point where my skin itches, my brain skitters, and emotions regress into frost. For him, weird as in different. Fairly; this doesn’t suit his particular tastes. For me, though, weird as in revelation. The VHS cover, all dying browns and arctic blues, centers a young man in the frame. He dominates the artwork, sword raised in battle-born defiance. I didn’t know there’d be a girl. Forty minutes after the trials of Ashitaka, San crashes through forest pathways and whirring analog spools. Faster than light, light as air, glittering blade in hand, and murder on her mind. The way she scales rooftops and evades soldiers twice her size is a dance; singing capable intent with every fluid strike. The pondering narrative pivots on its established head without mercy, escalates to match her intensity. She is ruthless. She is angry, and vengeful, and drawing blood. Drawing it from bodies with a knife, and sucking out poison from her wolf-mother’s dripping wound. Ashitaka follows her retreat, as eager and captivated as I feel—stunned, almost sick with the premonition I’m weaving on the edge of something unknown, something primal, liberating. San spits the blood from her mouth, cheeks smeared with matching war paint. I’ve never seen this much red. “Go away,” she orders, leaving him behind, denying his gaze. Orders. She is not nice. She is not kind. She does not bend. I’m 10, and a director curls his hand through an ancient television and fires off my heart-nerves in ways I wouldn’t feel again, or consciously understand, for years. I still pick the scar. The works of Hayao Miyazaki contain multitudes. I doubt many will cry biased hyperbole if I claim him as one of cinephilia’s most revered creators. His oeuvre is bewitching and lush, potent and transcendent, mythic and humanized. He crafts narratives that seem to possess a soul (stay with me, here): aching with aesthetic life, color, and emotion; sermonizing their own thematic ideals; lingering in the breastbone and infusing the spinal fluid long after the credits roll. Miyazaki contains multitudes, and so do his women. 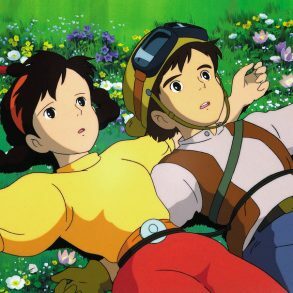 If we accept the auteur theory at face value and cite the director as a film’s primary architect, then Miyazaki’s are fashioned from the ground up on foundations of love. Acutely, irrevocably so—too many captured echoes of life’s intimacies to absorb with casual detachment. Reciprocal human kindness and painstaking hand-drawn animation form their bone marrow; their DNA, the compassionate self-discovery of women. Venerating Miyazaki’s emancipated heroines may be old hat, but they are, effectively, stewards of my life. Inspiration. Aspiration. Ariadne and her thread, unraveling a path of actualization. At different forked roads in my 27 years, I saw Miyazaki’s women and thought, I can? And each, in her distinct way, said Yes. Kiki’s Delivery Service opens on an extended grace note of idyllic tranquility—a girl in starkly harmonious colors, dark dress and red hair bow, reclines upon a hilltop. Her gaze follows the drifting clouds, soaks in their aimless, slow-changing nature. Her eyes lull closed against a spring breeze. Then, on a word, she’s sprinting home, a maelstrom blur of flapping skirt and unquantifiable desire. The forecast predicts clear skies tonight, a high moon. “My heart is ready,” she tells her parents, smile beaming a radiance that can only come from within. In Kiki’s world of witchcraft, 13-year-old girls choose when to leave home and where to begin their magical maturation. Her parents gasp—Already? Isn’t it early? But this is her decision alone, and they pillar their daughter’s agency with a visible pride eclipsing fearful sorrow. Barely a teenager, and her community trusts her prospering independence. Into the radiant night Kiki soars on her broomstick, eyes reflecting the crisp stars. Likewise, her heart reflects the wondrous discovery of things unseen—the turbulent ocean, a smoking train, the kindness of strangers. From above, where the air is thin and everything seems simpler, a picturesque town appears out of the clouds like a reverse Atlantis, and it seems a dream birthed into brick-and-mortar reality. Maybe this is where it happens. Often, Kiki crashes. She swings wide past her goal, slams her body brutally against unforgiving buildings. Her broomstick crashes onto hard wooden floors. Once the exalted newness of owning a business wears off, she crumbles, break by break. Her delivery service exhausts her bone-deep, and she earns little money for her bedraggled efforts. Not everyone she meets is kind. She didn’t realize each witch-in-training must hone a specific skill set. Panic swallows her into a gravitational vortex—what’s her focus? How can she know, at 13? Kiki’s uncertainty manifests in growing apathy and seclusion, hours spent in bed, and, most devastatingly, the loss of her magical abilities, the defining element from whence she derives her power. She is grounded by depression—brutally honest, believably wrought. Even in a child-friendly tale with pinpoint-narrow focus, Kiki is unavoidably different, an outsider seeking acceptance in this complicated, sphinx-like world. It takes the time-worn elixir of adolescent learning—length, experience, and numerous failures—for her to decipher her rhythm of flight, and likewise her path of life. The dramatic tension isn’t the successful culmination of a mystical fantasy adventure, but rather Kiki surviving one day at a time, one foot in front of another, even when she’s weighted by lead and nauseous with inadequacy. 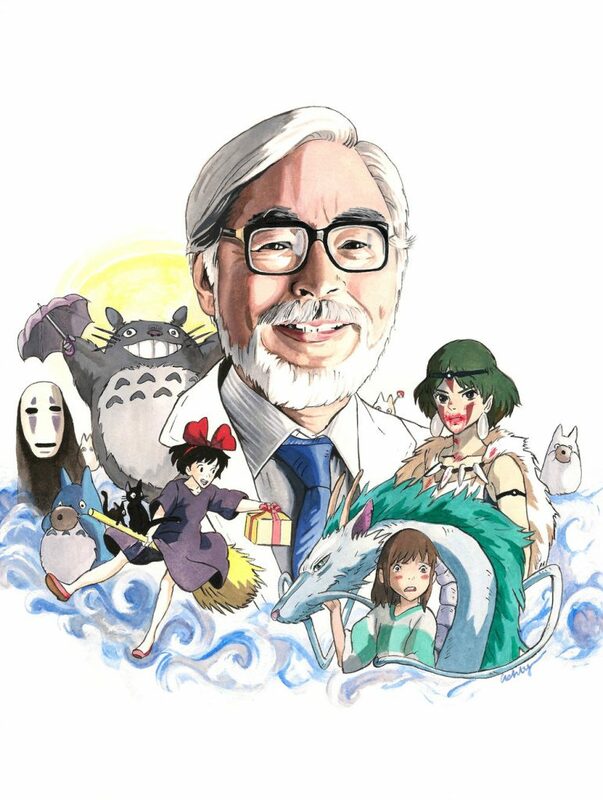 Not all her problems are miraculously solved; that’s too clean an ending for Miyazaki’s devotion to realism. But she’s growing. Her feet drift above the cobblestone once more, and there’s no one to claw her down, to tell her No, this isn’t your place. Who knows how high she’ll reach after the screen goes black? It’s 2009. It took me ten years post-Mononoke to watch the rest of Studio Ghibli’s library. Somehow, amidst the mandatory consumptions of Spielberg, Hitchcock, and Bergman, it slipped past my wide-cast net. With that slow-burn epiphany of hindsight, though, the timing seems impeccable. This is not an original life story: the ragingly insecure introvert unsure of her identity, the modus operandi of just the concept. Yet the suffocating fear lodges in my sternum as prescient as an inadequately developed muscle. The girl fleeing her home for college is more exposed nerve than fully formed individual. I’ve yet to find an idealized fictional guidepost for the person hovering in stasis. Who am I? I’m bruised by undiagnosed mental illness. My body aches with invisible chronic disease. My family’s locked in regurgitating patterns of brokenness. Loud laughter invokes crystalized memories of teenage bullying, car horns a man who chased me like prey, and I swallow the taste of glass shards. For all that, a yearning optimist. As our family SUV tools around curves and cornfields, I conceal my paralyzing fear with the only defense mechanism I know: imitating a Vulcan, and repressing. Later, though, I can’t repress a panic attack in my empty dorm room. The eagerness to burst free from small town mid-America and quantify that nebulous idea of potential is minutiae in comparison to the cyclical manifestations of anxiety affixing me to the bed. I uproot one mental weed, exposing raw gray matter, and three more sprout up in its place. I needed Ghibli the most right when I rediscovered it. There’s a blink-and-you’ll-miss-it moment during the credits of Kiki, where our heroine witnesses the ripple effect of her actions: a tiny girl walks past Kiki on the street, dressed exactly like her, carrying a miniature broom. At this point I’m too pretentiously mature to participate in open imitation, but a palm-sized picture of Kiki hangs above my desk. At night, pupils adjusted to the dark, I see it from my twin-sized bed. 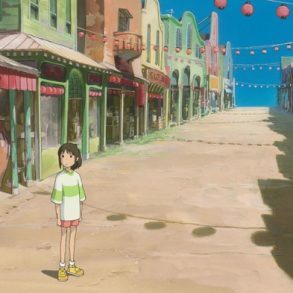 Spirited Away is, quite literally, about spirits: The ancient gods living among us, tucked away in a disorienting fever dream reality until the sun falls; and the hardened conviction of one’s inner spirit. If Kiki rushed from home and parents, 10-year-old Chihiro clings. She squeezes her bouquet of flowers, a parting gift from an abandoned friend, so tightly they wither. Her last reminder of known comforts, the prophetic evidence of lost innocence, and she chokes them. Curled in the fetal position, barely tall enough to stretch the length of the car’s backseat, Chihiro is a throbbing ache of melancholy. I imagine she feels hollowed out from crying. Overdramatic, but understandable; moving cities seems cataclysmic at that age. And when the world kaleidoscopes apart in front of her eyes, when monstrous-seeming creatures swarm and parents transform into pigs, who wouldn’t weep? It’s a classic Hero’s Journey blueprint Chihiro endures, yet her story slips between my ribs breathless and gutting as a blade. To survive, she must endure on her own. Aid is offered, but she alone scales the tower, braves the witch, speaks clearly despite her trembling frame. When she’s challenged, her voice pitches louder, sharper; she learns the necessity of demand when polite asking won’t suffice. In equal standing she discovers the conceptual value of the work she commits to with bruised hands and blistered feet, evolving from hesitant to habitual. She never forgets her name, even when her captor forces another upon her. A power dwells within names; you can be controlled, to a degree, through someone’s perception of you, autonomy compromised until you fold into yourself. But they also serve as talismans to ward off the dark. Chihiro advances forward in the face of overwhelming fear, and to be free, she must remember—and defiantly claim—her name. Every time, I come undone. Nearing 30, I still don’t possess the acuity necessary to figure out this life. (Who does?) It’s a daily catechism of remembrance to depend on my own strength, an unreliable foundation on most days. To reconcile the things I wish for with the things achievable by the body that betrays me daily. To mend my flaws. To forbid authoritarian persecutors from silencing our voices. At 10, Chihiro sees past the exteriors that consume so many: greed, temptation, consumerism. Interpersonal bias and instant gratification get you eaten by a faceless shadow spirit, turns out. Instead, Chihiro offers compassion to the carnivorous creature all others fear by understanding what he desires: friendship, acceptance, and a purpose. She penetrates through layers of man-made pollution to the thorn embedded in a spirit’s flesh, yanks it out and cleanses mud off the beautiful, trapped being underneath. She does not defeat the eldritch horrors haunting her actions in a harrowing climax of physical strength; she survives them. By film’s end she gazes at life straight down her sightlines in all its truth, the horrors and the healing. The unknown is known. She realizes, hands covered in soot, how to carve space for herself within that world. Whittle at her carbon long enough and you’ll find a diamond beneath. Impenetrable, blinding, and damaging. It’s 2014. I divide my workdays between part-time jobs at two news outlets. At the break desk, my phone vibrates. He went early this morning. Something floods down my neck—absence. The inescapable, shivering numbness of death. The grandpa who let me crash on his couch, turn his basement into a sanctuary of tape cassettes and cable marathons, passes quietly. He’d lived long and loud (unapologetically, cantankerously so) for over 90 years. He passed a love of reading, and rheumatoid arthritis, down to me. It was the most merciful exit for everyone, I suppose. I call in sick to my evening job. I impulse buy a bottle of cheap red wine, and watch Spirited Away to compartmentalize. I’m still incapable of healthily processing emotion, even in private, so I cry as I often do at Chihiro’s mastery, pretending it’s spawned by the usual reasons. My grandfather’s television gathers layers of dust. The desk lamp remains dark. I haven’t stepped foot in the house since he died. They say you can’t go home again. Sometimes you shouldn’t. Heroism is rarely inborn. Narrative arcs serve as the synthesis of a protagonist; after ninety minutes, they’re transmuted from sheep’s wool into spun gold. Nausicaä of the Valley of the Wind, princess to an apocalyptic world of devastation, is a heroine preserved in amber from the moment we meet. The camera pans lingeringly across a poisonous wasteland blighted by war. Mutated insects as tall as skyscrapers, called Ohmu, dominate the planet instead of mankind. Industrial civilization as we know it has collapsed, the order of natural selection usurped. The humans who remain are few, struggling, and ragged. A totalitarian military state conquers nearby kingdoms in order to preserve their power; their actions hinge on the erroneous belief that destroying the Ohmu with a weapon analogous to a nuclear bomb will better the planet. It’s 2016, and this scenario hits a pulsing open wound of fear too real to name. Within the deathly expanse emerges a masked figure. Unafraid and exploring, dressed in androgynous clothes of crayon blue. Beneath a breathing mask the figure’s muffled voice marvels at the inherent beauty of the dangerous creatures, and my world shifts further off its axis. The mask reveals an intelligent, fearless woman. “Who made such a terrible mess of the world?” Nausicaä wonders, after learning the apocalypse’s origins. The giant insects humanity reviles are, in fact, the earth’s caretakers, not mindless beasts deserving obliteration. They ache heartbreak in shades of red. The sole person to realize this is, of course, Nausicaä, the amalgamated embodiment of empathy, respect, and dignity. She desires neither wealth nor power, but for everyone to live—everyone. Humans, and the enemies her culture’s preordained doctrine refuse to understand. She tempers the angry animals, defends the fragile environment, rides the wind as one. She sacrifices herself for a tortured Ohmu, dress soaked pink from its blood, gaze resolved as a rampaging herd tramples her to death. When the Ohmu realize her intent, their fury ceases. They bind her gently in their winding limbs, heal her, and raise her above the ruined ground. She floats across the yellow field of their joined grip—a phoenix rising from the ashes of her forebears’ hatred. Tonight, Nausicaä will dream in gold. Scientist, warrior, prophesized savior, rider of the wind, girl—teaching that the greatest, most transformative act of healing for this broken planet is acceptance of the individuals society has othered. Who made a mess of the world? That uniquely human nostrum of bigotry we’ve spent so long refining. It’s 2017. America fractures open. It bleeds at the oath-taking of a man who threatens anyone not a reflection of himself. 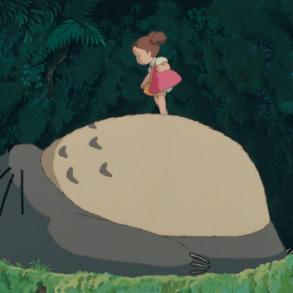 Now, again, always, I turn to Miyazaki. Kiki, a girl just managing to survive one day to the next while carrying a fractured body into motion. Nausicaä, her mythology driven by love for the outcast. Chihiro, wrenched out of selfish fear into preservative action. San, vicious and vengeful. It all returns to San. The untamed, violent, bitter wolf-girl sketching patterns in blood to protect her home against the ones promising its destruction. She is hardened as ice and just as unforgiving, yet never punished for such cutthroat conviction. She rejects humanity’s self-centered greed. Unafraid to die, she bites and breaks as much as she loves and aches, and remains independent. She wants the blood of the oppressors. I want the blood of the oppressors. Art never exists in a vacuum. During horrific times, it can be healing. It can be resistance. Each of these women is achievable in their relatability yet mythological in their power. Some are teenagers triumphing over a hostile environment. Some are heroines of magnificent proportions. Most are both. Miyazaki taught me there isn’t one definitive way to be a woman, despite the hegemonic patriarchal structures to which society would demand we adhere. Kiki, Chihiro, Nausicaä, and San actively refuse to embody a singular cliché or project a definitive expectation of womanhood. In fact, they shatter the narrow confines of the socially established gender binary by holding depths of complexity—compassion and fury, love and violence, optimism and intellect. They crash. They survive. They breathe. Watch the passing clouds, comb out their hair, wait at a bus-stop in the rain. 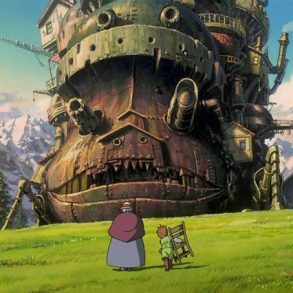 These hushed moments of normalcy imbue Miyazaki’s creations with enough engrossing realism and intuitive depth, it’s possible to imagine them sitting beside me—tabula rasas for the soul. They resonate; in my pulse, my shoulder blades, the back of my neck. They thrive in the empty spaces. Witches and she-wolves and bathhouse cleaners and living prophecies. They are us. We are them. We are all capable of soaring. I subscribed to BW/DR because of this essay. I just read it a second time, after watching Nausicaä.